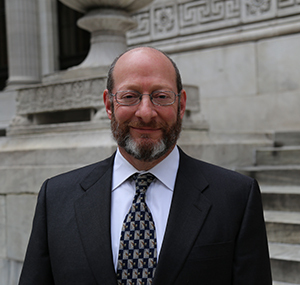 Richard Holzberg is a seasoned litigator with over twenty two years of experience representing clients in personal injury and false arrest cases in New York City and the surrounding area. After graduating in 1990 from John Marshall School of Law in Chicago, Mr. Holzberg returned to his native New York to begin his litigation experience with the Manhattan District Attorney's Office. He served as a prosecutor for three years under Robert Morganthau, and prosecuted hundreds of cases, gaining the substantial trial experience which he brought to Ernest Holzberg and Associates in 1993. While at Holzberg and Associates, his superior skills and extensive experience in the courtroom have led to countless successful verdicts for his clients in cases involving injuries, negligence and wrongful conduct. Mr. Holzberg is a member of the New York State Bar Association, and New York State Trial Lawyers Association. He is admitted into practice in all of the New York State Courts, as well as the US District Courts for both the Southern and Eastern Districts. Mr. Holzberg is also a graduate of State University of New York in Fredonia.